Agelaius badius Vieillot, 1819, Parguay. There are two geographically discrete forms. Many treat the pale baywing (A. fringillar-ius) as a third subspecies. English: Bay-winged cowbird; French: Vacher a ailes baies; German: Braunkuhstarling; Spanish: Músico, Tordo Mulato. 7-7.5 in (18-19 cm); 1.4-1.8 oz (41-50 g). Sexes similar in color. Olive-gray, dusky between the bill and the eye, blackish tail, and blackish wings broadly edged with rufous. They have a short conical bill. Juveniles resemble adults. 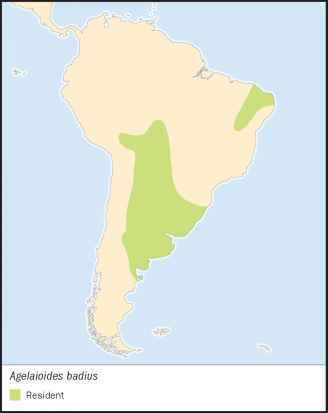 Resident in northeastern Brazil, and northern and eastern Bolivia south through western and central Paraguay, Uruguay, to central Argentina. Open, wooded, or shrubby terrain and adjacent pastures. Found to 9,500 ft (2,880 m) in Bolivia. 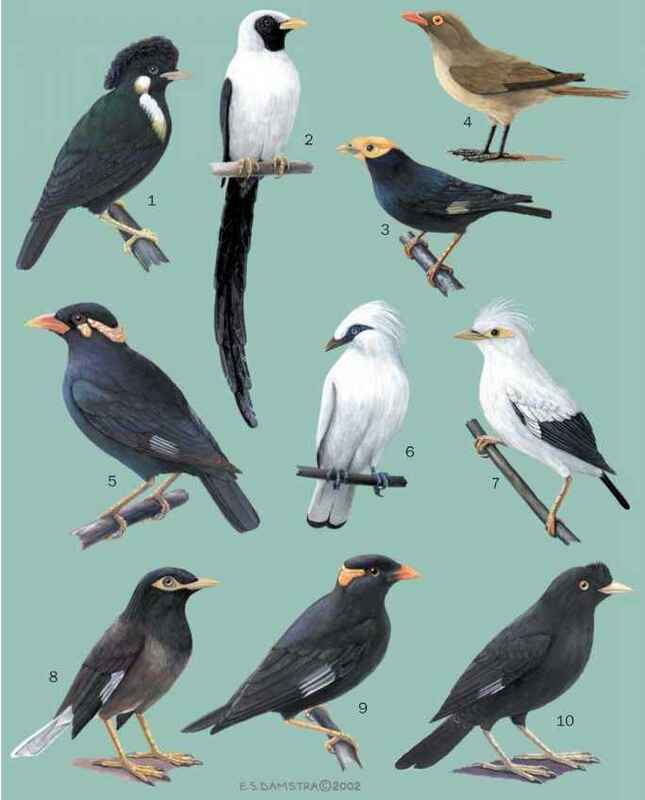 frequently, but unlike most blackbirds, song is not accompanied by displays. They sing from a perch, and often from near the nest. They feed both in trees, where they glean for insects, and on the ground, generally near woodland or shrubby cover. Socially monogamous. Baywings most commonly use the abandoned nest of another species. Covered nests are preferred, such as the nests of ovenbirds (Furnariidae); they will nest in woodpecker holes and in nest boxes, and they do sometimes build their own cup-shaped nests. Clutch size is generally 4-5 eggs, which are laid late November-early January. They are cooperative breeders and one or more "helpers" will help raise the young. They are frequently parasitized by screaming cow-birds (Molothrus rufoaxillaris), making it difficult to obtain accurate information on clutch size, and incubation and fledging times because the baywings often suspend nesting to reduce parasitism. Not threatened. They are common to fairly common.